The Complete Carl Barks Disney Library Vol. 9: The Pixilated Parrot was released by Fantagraphics in May 2015. The illustrations that make up the cover of this book are from The Pixilated Parrot (top) and Vacation Time (bottom). This edition of the Carl Barks library is 210 pages, and it includes 10 stories that were published in 1950. There are also some supplement sections with a short biography on Carl Bark’s life as well as behind the scenes pictures and stories about each and every story that is included in this edition. It is full of great and interesting information. I am glad that it is included in this volume and every volume of the Carl Barks Library. Carl Barks Library Vol. 9 is available in hardcover and Kindle\Comixology versions. A link to buy this book can be found at the end of this review. This volume is also available in a set coupled with Carl Barks Library Vol. 10: Terror of the Beagle Boys. It is a great value and discount to buy the bundle. The next new release in this series Carl Barks Library Vol. 20, The Mines of King Solomon, will be released in April 2019. Huey, Dewey, and Louie purchase a parrot from a sailor that just sailed the seven seas and has returned to Duckburg in The Pixilated Parrot. The parrot does not talk about much at first because he is still stuck on counting bananas that were on his ship. Donald gives the parrot to his Uncle Scrooge as a gift because Donald doesn’t allow pets in his house. The parrot memorizes Scrooge’s Money Bin vault code which initially Scrooge is very thankful for…until the parrot repeats that code to some crooks who rob Scrooge. The parrot overhears the thief’s hideout address which it repeats later to save the day. Donald vows to pick Daisy a daisy flower for her so that he can be her partner for a picnic lunch in Wild About Flowers. His only challenge is that Gladstone Gander wants to be her partner for the picnic. Good Luck vs No Luck for Daisy. Donald and the boys are kidnapped by an evil scientist in Ancient Persia. The evil scientist is after a vapor that turns people into dust, and he wants to use the Duck family as his test subjects. Donald and the boys go camping in Vacation Time. Donald proves to be an expert outdoorsman, and he dreams to get a perfect picture of a deer from the forest. The deer is not the only animal that Donald encounters. Another camper who shows no regard for nature starts a forest fire with his campfire. Donald and the boys survive the fire, just barely. They provide the evidence to the ranger in the form of a picture from Donald’s camera that the other camper started the fire. Donald has a hard time teaching his pet parrot how to say Polly wants a cracker in Talking Parrot. We get to see Gus Goose working on Grandma Duck’s farm in Donald’s Grandma Duck. He has a round about way of doing his tasks, but he gets the job done. Huey, Dewey, and Louie spend the weekend on the farm, and we get to see their sweet grandparent to grandchildren relationship. Donald and the boys argue who their Uncle Scrooge loves the most in The Magic Hourglass. Scrooge gives Donald a worthless boat, and he gives the boys what he believes to be an hour glass that no longer tells time. It is found that the hourglass is magic and helped bring Scrooge his good fortune as he starts losing billions by the second. Donald and the boys go to Africa to try to find the sand needed to make the hourglass work again. Scrooge hopes to get the hourglass back from them before he loses everything. The circus comes to Duckburg in Big-Top Bedlam. Donald and the boys really want to go to the circus, but they are broke. Even Donald’s emergency funds are depleted except for a valuable heirloom pin that he is keeping safe for Daisy. He decides to go pawn the heirloom until he gets paid later in the week at which point he will buy the pin back. A cat causes Donald to drop the pin over the bridge and into the water. Seconds later, Daisy walks by and wants her pin back from Donald to use that night. He tells her a story about how a suspicious man stole the pin from him. She suspects that person works at the circus so she makes him go there to find the pin. Luckily the guy that runs the quick change act at the circus was swimming at the time the pin was lost, and he found the pin. It takes Donald a while to get the guy to give him the time to talk to him to get the pin. Donald even gets a job as a clown in the circus which leads to many comedic events. In the end, the pin is returned to Daisy. Donald tells the boys that he will buy them what they want for Christmas if they can just guess what he would like for Christmas in You Can’t Guess. The boys really want a metal building set because they have never had one. They brainstorm and come up with a long list of ideas for what their uncle might want for Christmas, but all of their ideas are incorrect. They enlist the help of many people that know Donald well: Daisy, Scrooge McDuck, Gladstone Gander, and Grandma Duck. No one is able to come up with the answer to what Donald wants through many different attempts, but they all come to the conclusion that he needs a new car. I am not going to give away the ending, but I loved this story. This volume mixes things up a little bit, and I love it. Instead of a volume packed with 20+ short to medium stories, we are treated to some longer stories with some one pagers mixed in. Carl Barks is the master of the 10 pagers, but I love when he has stories like The Pixilated Parrot, Ancient Persia, Vacation Time, The Magic Hourglass, and Big-Top Bedlam where he gets more pages to work with more fleshed our detailed storylines. The Christmas story, You Can’t Guess, was my favorite story from this volume. I would love to see Fantagraphics release a special volume that compiles all of the Duck Family Christmas stories by Carl Barks all in one place. In the bonus section towards the back of the book, we get to see some glorious comic covers that Carl worked on. The behind the scenes content on each story really completes this volume for a comprehensive experience. I can’t wait to read through the rest of the volumes in the Carl Barks Library. 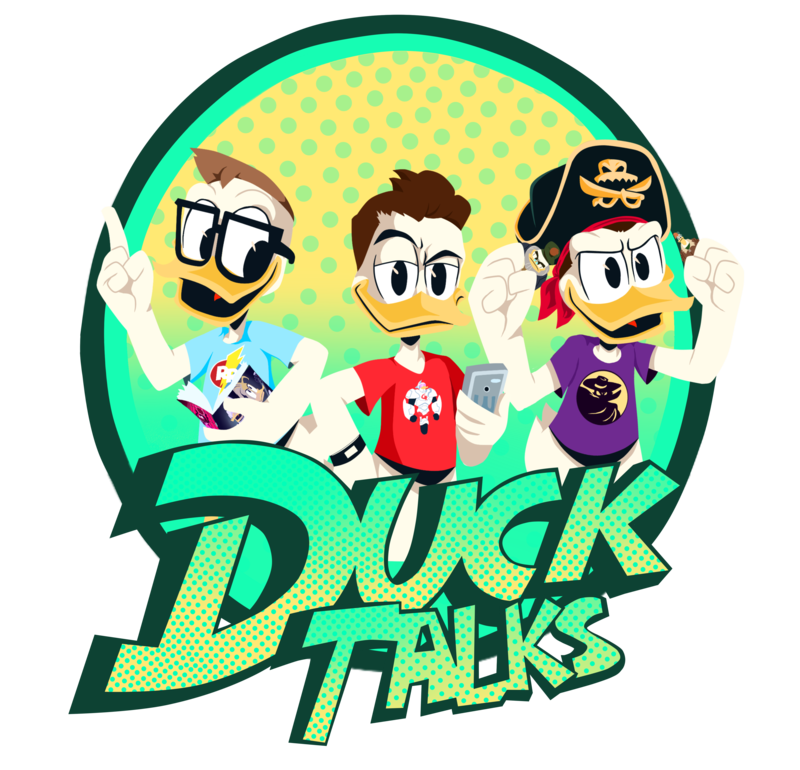 Previous DuckTalks Episode #064 – The Discussion of a Television Renaissance with Jake S. Friedman! Next Rumors of May DuckTales Episode Titles and Premiere Dates!